"Freshly squeezed lime juice with hints of pineapple and jasmine flowers on the nose awaken the palate to zesty lime, spicy white pepper and incredible earthiness that sings of limestone soils. The prominent acidity is beautifully balanced with the highly concentrated, ripe citrus palate giving the wine great length and extreme freshness. Medium bodied and energetic, this wine is delicious on its own but will also pair wonderfully with fresh fish, seafood, summer salads, and light-medium spiced Indian or Thai cuisine. A fragrant and earthy wine, it will continue to develop for 10 + years showing more richness and secondary characteristics." "Freshly squeezed lime juice with hints of rock melon and jasmine flowers on the nose awaken the palate to zesty lime, spicy white pepper and incredible earthiness that sings of limestone soils. The prominent acidity is beautifully balanced with the ripe citrus giving the wine great length and extreme freshness. 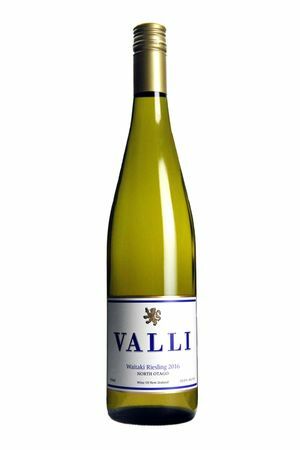 This is a naturally lower alcohol Riesling that is delicious as an aperitif but will also pair wonderfully with fresh fish, seafood, summer salads, and light-medium spiced Indian or Thai cuisine. A fragrant and earthy wine, it will continue to develop for 10 + years showing more richness and secondary characteristics." "Freshly squeezed lime juice and lemon zest with jasmine flowers on the nose awaken the palate to flavours of rich citrus, ripe apple and incredible limey acidity which ives the wine great length. This Riesling is exquisitely balanced and wonderful on its own, but it will also pair beautifully with summer salads, fresh fish, seafood, and light-medium spiced Indian or Thai cuisine. A fresh and fragrant young wine, it will continue to develop for 10 + years showing more richness and secondary characteristics."